SharePoint is Microsoft’s web-based collaboration platform. While some organizations use it primarily for document management, it’s capabilities also include Business Process Automation (Workflow/Forms), Project Management, Decision Support (Business Intelligence), and complex content management (Records, Web Content, etc…) just to name a few. Since it is very extensible and has become the core portal for employee communications, many organizations are using it as a custom solution delivery platform in addition to the numerous out-of-the-box features it provides. 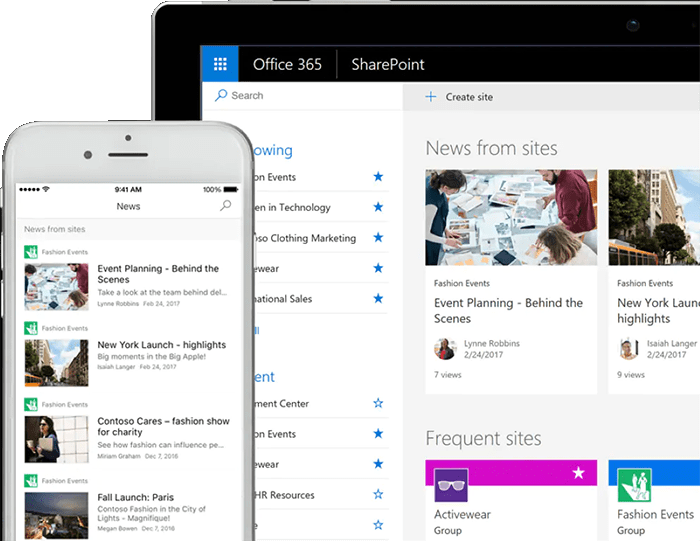 Office 365 is Microsoft’s cloud offering, which includes SharePoint online and so much more. 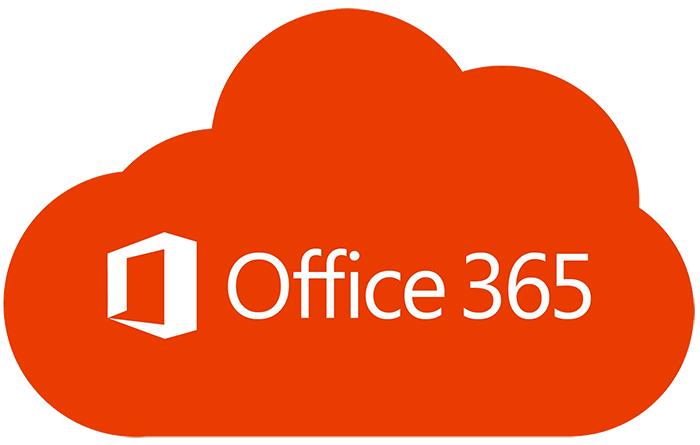 By integrating the Enterprise Content Management provided by SharePoint, Enterprise Email provided by Exchange, Real Time Communication provided by Skype/Teams, and a series of other cloud-based tools (e.g. Project Server, Power BI, Yammer, Stream, Planner, OneDrive, etc…) the integrated suite allows us to also leverage the formidable artificial intelligence available in Microsoft’s cloud infrastructure to provide a highly productive environment to get work done! We’ve been working with SharePoint since it’s first release in 2001, and before that Site Server and Commerce Server. We were one of the first to have customers on the Business Productivity Online Suite (BPOS) platform, which was the direct predecessor to Office 365. Using these toolsets we can help you implement productivity solutions to increase employee efficiency, decision making, and engagement. Processes can be made more reliable and compliant with automation. We can help you with these improvements through established best practices or help you navigate through the newest emerging products where best practices are still unclear. These solutions can be either within the context of what these products provide out-of-the-box or in combination with our other competency of custom application development. Corporate and inter-departmental communication to keep everyone within the organization on the same page and pulling in the same direction. Document, Information, Records, and Knowledge Management. Make sure employees can find the right assets when they are required. Get more done by working effectively together both within departments and across disciplines. Automate your business processes to make them more efficient and reliable. 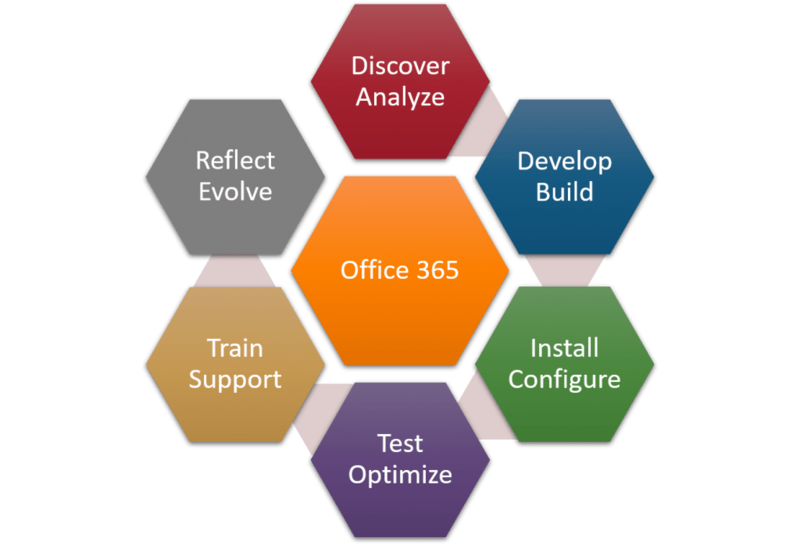 We can provide ad-hoc and retainer level 2/3 help desk support for your Sharepoint and Office 365 deployments or you can take advantage of some of our common project based infrastructure services such as Migration and Farm Health Assessments.